And if Mexico is the next big thing, so is Chef Gomez-Luna Torres. 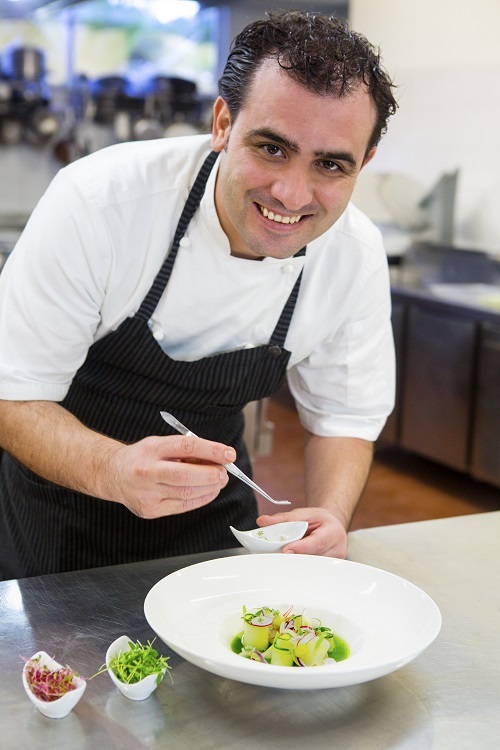 Just 32 years old he’ll be leading that charge from his role at the helm of critically acclaimed restaurant Le Chique in Riviera Maya. Already noted by many critics as running one of the best restaurants in all of the country the Mexico-City born chef graduated from the Ambrosia Culinary Center and spent years working in some of the best restaurants in the world, including a short stint in a three-star Michelin restaurant in Valencia to gigs at El Bulli in Spain and Noma in Copenhagen. Altogether an undeniable all-star resume. 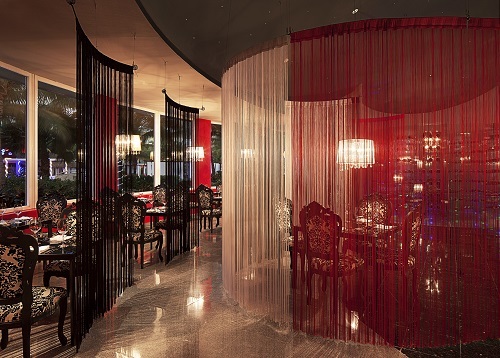 In 2008, he teamed up with Food and Beverage manager Jeroen Hanlo at Karisma Hotels & Resorts (www.karismahotels.com) to open Le Chique in its Azul Sensatori Hotel property located in the Riviera Maya. While many food and wine snobs might dismiss a restaurant located in an all-inclusive hotel, Chef Jonatan has shattered those preconceived notions by receiving award after award for his work; for instance, the coveted Five Diamond Award bestowed by AAA. Many locals now opt to spend a weekend at the hotel simply to dine at Le Chique (www.lechiquerestaurant.com), says Gomez-Luna Torres. As part of a guest’s all-inclusive culinary package, they can make a reservation at the restaurant and feast on a special menu with many of the restaurant’s popular dishes presented in a passed, family style setting. To experience the entire degustation menu, hotel guests can upgrade for the full monty. (Eater beware: even if you’re a guest you should book weeks ahead of your vacation to ensure a table) Outside reservations are also available by calling the restaurant directly or booking on OpenTable (www.opentable.com). 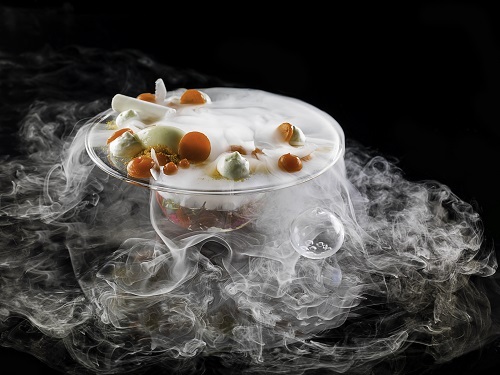 While many of Chef’s followers would characterize the cuisine at Le Chique as “molecular”, Gomez-Luna Torres certainly doesn’t. In fact, he quite dislikes the term “molecular” itself. Rather, he believes his cuisine to be innovative, thought provoking and, most importantly, delicious. The roots of the cuisine are all grounded in Mexican culture—or perhaps it is best characterized as a recharged interpretation of the food of his youth—as taught to him by his grandmother. The 24 to 25 course menu showcases the fusing of regional cuisine, local food and international flavors, all crafted to heighten the customer’s experience from start to finish. He spends a significant amount of time traveling throughout the country, looking to work with local purveyors and learn more about the cuisine he loves so much. Within Mexican culinary culture, he has a deep appreciation for basic dishes such as adobos, molés, black bean soups and anything with pork belly confit, he confessed. All of his key, all-star ingredients like chocolate, water, truffles and foie gras, come exclusively from Mexican purveyors. The menu at Le Chique might not appear to serve those traditional dishes, but the concept and the flavors are ever-present. He often melds his past cooking experiences, making subtle nods to his time at Noma. His restaurant has both a juice and water menu, which are quite popular with guests abstaining from alcohol. The juice menu he is particularly proud of. On any given day, juices such as fermented plum, banana with vanilla, pineapple mint or jicama with blood orange will be featured on the menu. For two of the chef’s most dynamic recipes, read on. These will not disappoint. Melt the gelatin with the soup and add the gluconolactate, once it is dissolved pour the jelly beans into the mold; Carefully add the egg and let it curdle completely a few minutes; refrigerate until gelatin has curdled perfectly. Once the jelly is curd, unmold and dip the eggs in the alginate bath for 25 min., rotate every 5 min. for uniform cooking. Once the egg has finished its process in the alginate bath, rinse thoroughly in water and refrigerate until ready to serve. Cook the eggs at 85°C with a thermocirculator for 6 min. Cook the beans in water until soft, mix in a blender with a little cooking broth, to a consistency of light cream, strain and reserve. In a skillet, sauté onion and chile, until very soft, add the bean soup and season with salt, drain and set aside. Grind all ingredients in blender to acquire a smooth, “creamy”, consistency and set aside. Cut the onion into quarters, slice the onion using a slicer, for very thin strips; Blanch the onion strips, keep the onions in a container, add the lemon juice and salt, keep refrigerated. Sauté onion in oil followed by tomatoes, cook until slightly caramelized, add the chile and smash into the sauce, season and set aside. With the help of a bottle, draw a circle with the avocado cream in the plate, then put the strips of pickled onion on top of the avocado and cover. Then place the julienned onion tortilla over, building a nest. Afterwards, put hot tomato sauce with habanero in the center of the nest, then place the egg previously cooked 6 minutes at 85 ° C , over the tomato sauce. Finish with coriander sprouts and coriander flower. Grind the xanthan gum in the broth using immersion blender until desired texture. Preserve. Remove the center of the green apple using a corer and cut into wedges. Using a slicer, cut the apple with measure no. 6 and reserve in cold water. Cut and core apples, extract the juice and strain. Separate some of the juice and melt the gelatin, previously hydrated, add a siphon cream 1/2 liter capacity. Place two cartridges cream and stir, pour the foam in liquid nitrogen until frozen completely and grind using a Thermomix or a processor with stainless steel vessel. Keep in a metal bowl on a nitrogen bath. Mix all the ingredients in a pot with the exception of agar and bring to heat until it boils. Mix the agar using a balloon whisk, pouring it slowly. Already incorporated, allowing the mixture to a boil for the 2nd time and using a Pasteur pipette, drip into the cold oil well. Once solidified shaped caviar, remove all of the oil with a strainer and reserve. Place a strip of marinated hamachi in aguachile. 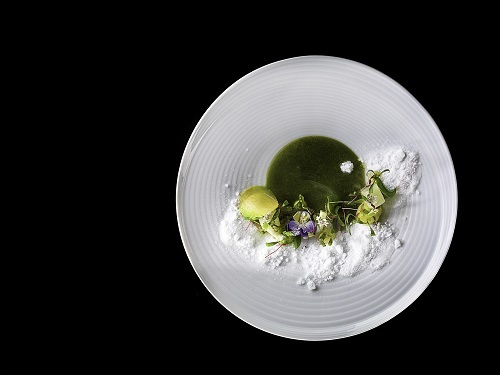 Around it, make dots with avocado cream slices of green apple, sprouts, leaves and edible flowers. Add the juice of aguachile in the center and finish the green apple powder made with liquid nitrogen. Accompany with toast.